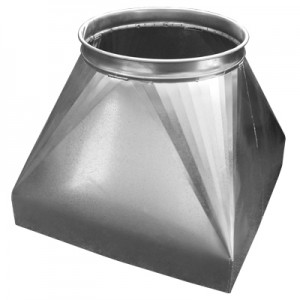 Nordfab Quick-Fit Canopy Hoods are constructed of stainless steel material and feature a hemmed end. If flange is required, please see transitions. Specify opening size: 18" square, 24" square, 36" square, or 48" square. Other sizes upon request (max. size 72" x 48").